No Other IT Consulting Firm In The Chatham-Kent Area Can Touch Our Lightning Fast Response, Customer Service, or Ability To Deliver Hassle-Free Technology Solutions That Work EXACTLY The Way You Want At A Price That You Expect. President, Kent Computer Consulting Inc. It just amazes me how unreliable and arrogant some computer technicians are. When you call them for help, you end up talking to their voice mail. Then when you finally get them on the phone, they make you wait hours -- even days -- before they can actually come out to see you. Even at that, a lot of them are late, never really explain what they are doing, and as a final insult, bill you for work that you are not satisfied with! I think it’s about time someone finally got it right. That’s why we decided to start a "one company revolution" and commit ourselves to delivering fast, affordable computer network support from technicians who really know what they are doing. Although I don’t think this is an amazing concept, it still surprises me how many companies don’t get it right. 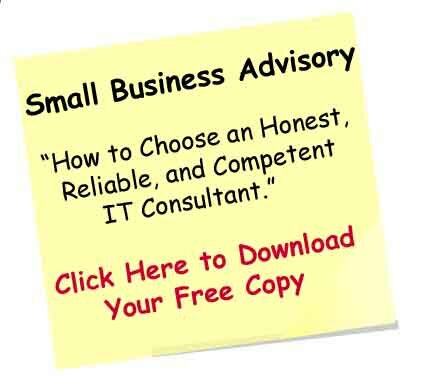 After all, you and I know that there are plenty of computer consulting firms out there offering some type of network support; but an awful lot of them are new or just getting started in the business. Some will even outsource their clients’ projects to part-time technicians that are between jobs or to companies overseas. We’ve been servicing customers in the Chatham-Kent area for over 10 years and ALL of our technicians are full-time employees that have expertise in every area of networking. When you hire us for ANY project, not only can you expect it to be done right, but you can expect it to be done on time and on budget. If you are a new customer to us, I’d like to invite you to sign up for a FREE Problem Prevention Network Audit where one of our senior technicians will come on site and perform a 27-point performance and security assessment to pinpoint any vulnerabilities to viruses, hackers, or data loss, spyware and to show you how you can get better performance, speed, reliability, and LIFE out of your existing computer network. Click here to learn more. We offer this service as a gift to all prospective customers so they can get to know us better without any cost or risk on their part. We consider ourselves trusted advisors not just your "Computer Guy". I feel in time you will come to see us that way also.